Wildlife campaigners seeking to stop the trade in illegally fished shark fin may target mainland Chinese airlines as civil society pressure in Hong Kong forces activity over the border. Seventeen airlines including Cathay Pacific, Air Asia and Emirates have pledged to be “shark free” after a campaign by marine protection NGOs urged them to keep fins – considered a delicacy in Chinese cuisine – out of their cargo holds. But campaigners worry the business of transporting shark fins is simply moving to new regions and airlines. Alex Hofford, director of Hong Kong-based WildLifeRisk, said his group was now considering targeting Chinese airlines, notably China Southern, as the mainland’s Guangdong province becomes “the new trade hub”. China Southern last month banned shipments of monkeys to laboratories after a campaign by animal cruelty protest group PETA, showing “they are susceptible to pressure,” he said. Hofford’s comments came as his organisation claimed to have discovered 6.8 tonnes of dried shark fins transported to Hong Kong from Dubai by Philippine Airlines. He said the airline, which operates daily flights between Dubai and Manila via Hong Kong, had picked up the business rejected by Cathay Pacific and Emirates, despite assuring NGOs it would also stop carrying shark fin. Together with Greenpeace, Fins Attached and other international NGOs, WildLifeRisk has reported the case to the Interpol Environmental Crimes Unit. A similar pattern has been seen with Indonesia's airlines: after Garuda agreed to ban shark fin from its flights, business moved to another of the country’s carriers, Lion Air, Hofford added. Much of the shark fin from the Middle East is believed to come from illegal, unreported and unregulated fishing in the waters of countries including Ethiopia, Eritrea and Somalia, according to WildLifeRisk. Poor regulation of the fishing industry means it is hard to know whether fins have come from endangered sharks or not, which is why campaign groups currently recommend the transport of shark fin is suspended entirely. 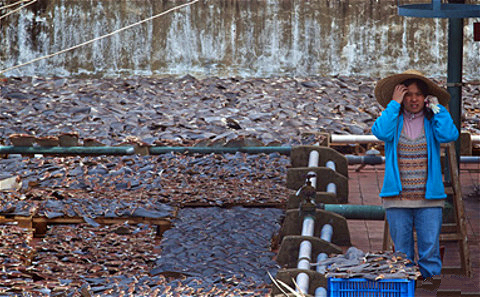 Public pressure has contributed to a dramatic fall in the quantity of shark fin shipped into Hong Kong in recent years. Around 5,400 tonnes was imported in 2013, down 45% on the 9,900 tonnes brought in during 2010, according to government data.